Hey Guys! Tanner Bell here. 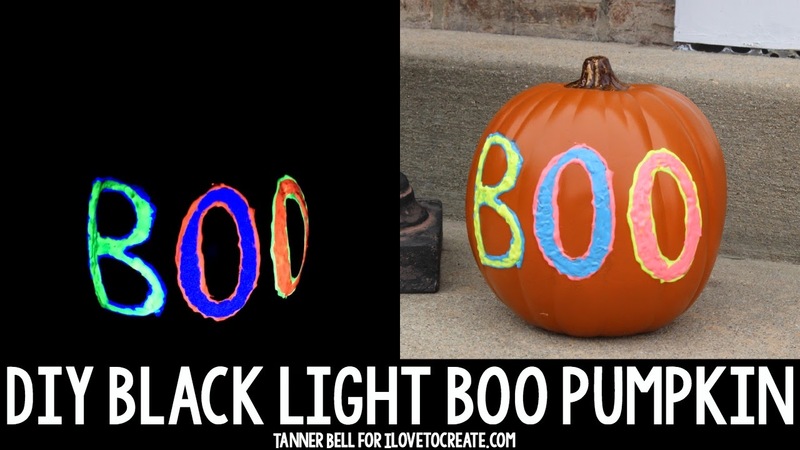 I'm so excited to share this DIY Black Light BOO Pumpkin. You're going to love this simple no carve pumpkin idea and it is super trendy this year. It is super fun and easy to make with the Tulip Black Light Paint. Let's jump into it. I hope you have fun creating this project. It is super fun to make and I really love the look it added to my Halloween decor! Have a fantastic day. Check out these Black Light Pumpkins Jaderbomb created, for even more inspiration.